When it comes to bulldogs, not all bulldogs are created equal. Contrary to popular belief, there are actually many different types of bulldog breeds. Name the word "bulldog," and the image of a muscular, hefty dog, with a wrinkled face comes to mind for most people. 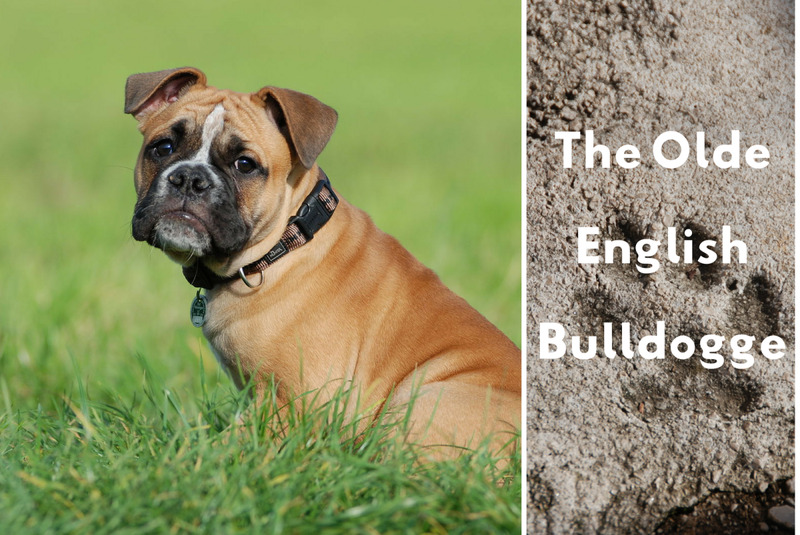 Do you know the difference between an English bulldog, American bulldog, French bulldog or Olde English bulldogge? These different kinds of bulldogs have different histories, different looks, and even different temperaments. However, all bulldogs have something in common: their ancestors were used in the past for "bull baiting" and that's how these dogs earned the "bull" designation in their name. What is bull baiting? Bull baiting entailed tethering a bull while a "bulldog" grabbed the bull by the nose and pinned it to the ground. The dogs who were selectively bred for this job were animals with massive heads, stocky bodies, and strong jaws. In addition, these dogs had a determined and stoic temperament. It was common law in early modern England that a bull's flesh had to be baited before being slaughtered and sold. Back in those days, there was the belief that baiting helped improve the flesh. Sadly, bull baiting was also considered a recreational sport and was fortunately banned in 1835 when the Cruelty to Animals Act was passed in Parliament. This act, therefore, outlawed this "blood sport" in Great Britain once and for all. Suddenly, with the bull baiting ban, bulldogs were unemployed and their numbers started dying out. Their numbers rose again when dog fanciers created dog clubs and were able to somewhat "resurrect the "Bulldog." This resurrection ultimately led to many of today's modern bulldogs. So with this in mind, say the word "bulldog," and the term may mean many different things to many different folks! Now, let's take a look at some different types of bulldogs that are quite popular nowadays. English bulldogs are also known as British bulldogs or simply "bulldogs." After the bloody sport of bull baiting was outlawed in England, the bulldog developed into a shorter version of its ancestors and this soon became the expected look in the show ring. The English bulldog is a medium-size dog (weighing anywhere between 40 and 50 pounds) with a smooth coat, short-faced head, wide shoulders, and sturdy, short limbs which contribute to this breed's typical shuffling gait. The eyes in this breed are very dark (blue or green eyes are means for disqualification in the show ring). "Rose ears" are preferred, with the ear folding inward at its lower edge. The face is extremely short (brachycephalic), the nose is large and black with wide nostrils, and the flews should be pendulous and overhanging from the jaw at each side. The massive jaws are overshot, which means that the lower jaw protrudes in front of the upper jaw. In other breeds, this can be considered a faulty malocclusion. In the English bulldog, it's considered a staple trait of the breed. The "roach back" or "wheel back" is another typical trait of the breed which means that the back forms an arch towards the tail. The chest is very broad and the shoulders are quite wide which is why female bulldogs often undergo c-sections due to the girth of the shoulders of their pups. The broad shoulders allow a low center of gravity, which in this breed's past was helpful in bull baiting considering that they crawled close to the ground to stay out-of-reach of the bull's horns. The front feet may be straight, or they may be slightly out-turned. The elbows stand out from the body. The back feet point outward. Personality-wise, the English bulldog should be kind, passive, and courageous, but never aggressive. While the English bulldog's looks can be quite appealing, the much-loved traits (wrinkles, short nose, overshot mouth), are the main reason why English bulldogs are known for having many health problems and a short lifespan. Here's a comprehensive guide on English bulldog health problems. Bulldog owners are sometimes shocked and dismayed at how high-maintenance these dogs are, and they are not prepared for the high cost of corrective surgeries and ongoing medication and health care. 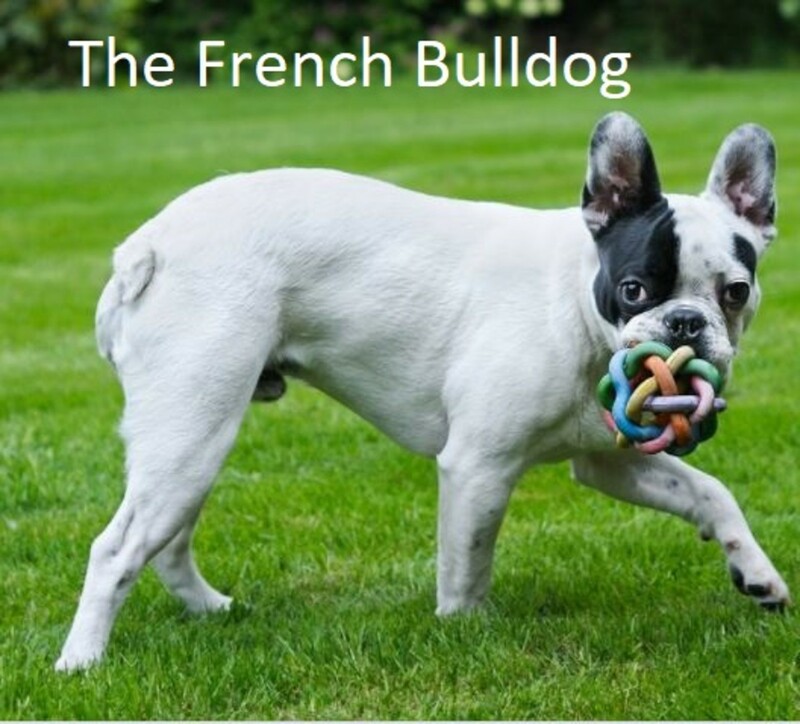 There is the belief that the French Bulldog, as its name implies, was developed in France by crossing toy bulldogs from England (now extinct) that were brought over to France by English lace workers. These toy bulldogs were crossed with other unknown specific breeds which must have contributed to the distinct “bat ear” of the French bulldog, a characteristic not seen in English bulldogs. The French bulldog is a muscular, compact dog with heavy bones and an alert appearance, courtesy of its large, upright ears. The weight should not exceed 28 pounds. The head is large and square in shape with dark, round eyes. The characteristic bat ears are set high and erect on the head and are very broad at the base with a typical rounded top. The shape of the ears is such a staple of the breed that any other ear shape is means for disqualification. As in the English bulldog, the French bulldog has heavy wrinkles on the face with a soft roll of skin over the short nose. The nose is black and any other nose color is not accepted unless the coat is a lighter color, yet this is not desired. The mouth is characterized by flews that hang over the lower jaw at both sides, The jaw contains an undershot bite. There is loose skin by the throat. As in the English bulldog, the French bulldog has a roach back. The chest is broad, deep with a nice belly tuck-up. The tail can be either straight or screwed. The front legs are short and set wide apart. The back legs are strong and typically longer than the front legs which is why the loins are elevated above the shoulders. 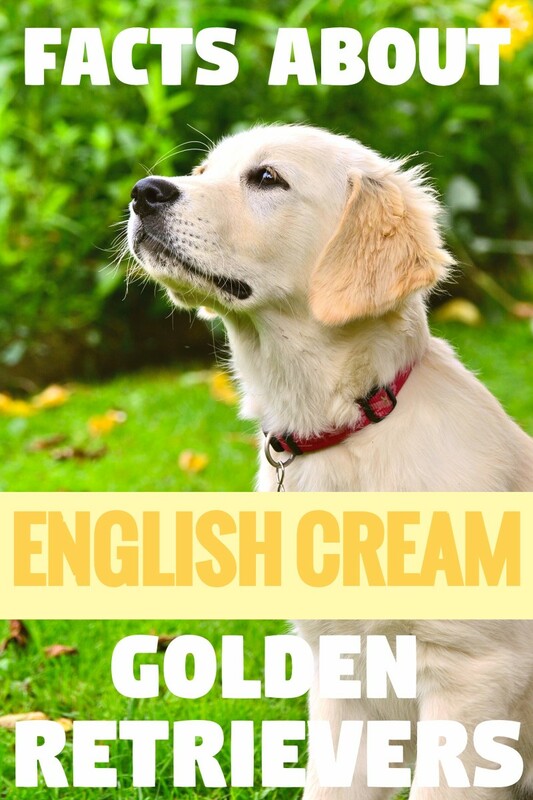 Their coat is smooth and short with soft, loose skin, that forms wrinkles in the head and shoulder area. French bulldog coats boast various colors including brindle, fawn, white, and brindle and white. All colors are accepted except for solid black, mouse, liver, black and tan, black and white, and white with black. Personality-wise, the French bulldog is a dog with an affectionate disposition. He can be very active and playful but typically not excessively boisterous. French Bulldogs may have some health concerns that you should be aware of. The short face can make their breathing less efficient than that of long-nosed breeds, so Frenchies have less tolerance of heat, exercise, and stress. Keep your French Bulldog cool in warm weather, and avoid strenuous exercise. When the brutal sport of bull baiting was outlawed in England, the working-style bulldog was mostly replaced with shorter specimens that were less athletic and resembled the English bulldog we know as of today. However, some working class immigrants managed to bring along with them working bulldogs when they immigrated to the American South. Here, ranchers and farmers found these dogs useful for performing various tasks. However, after World War II, the breed went almost extinct. It is thanks to Mr. John D. Johnson, a veteran returning from war, that the breed didn't become extinct. 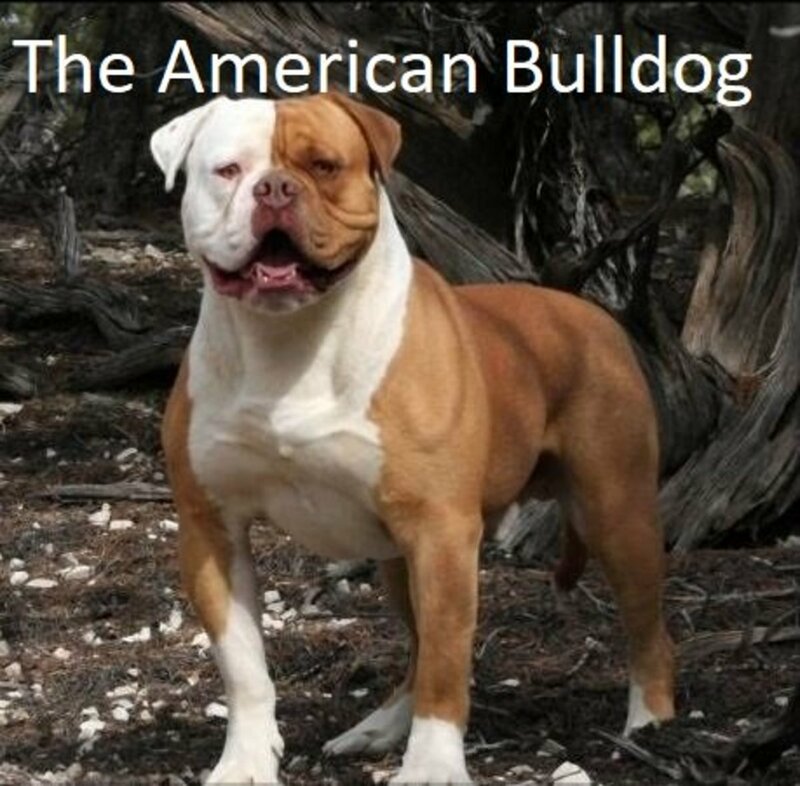 Along with Alan Scott and other breeders, the American bulldog was resurrected, and unlike the English bulldog which was selectively bred mostly for looks and for the show ring, the emphasis was put on the American bulldog's health and working capabilities. 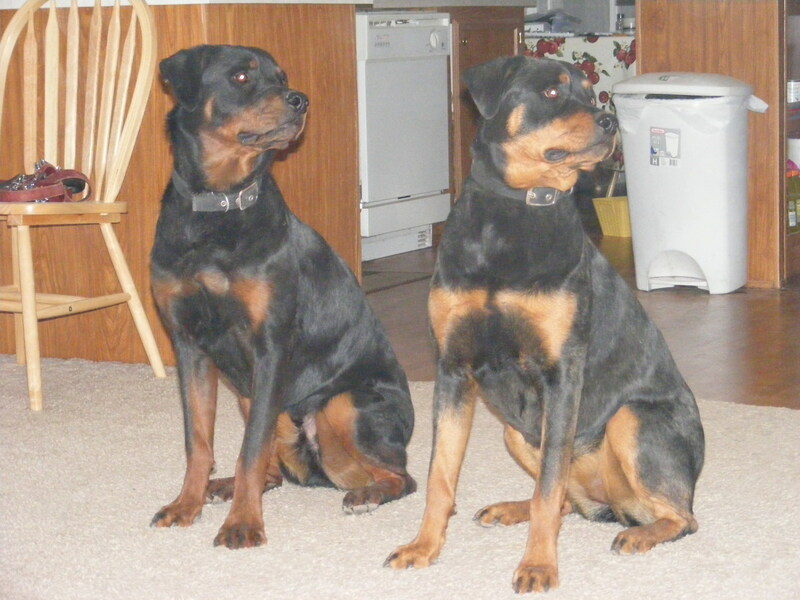 The breed is often said to resemble the ancient bull baiter drawings. Still, as of today, the best lines are referred to as "the Johnson and Scott types." American bulldogs may, therefore, vary in appearance and look quite different from English bulldogs. There may be variance based on certain lines. Scott dogs are referred to as the "standard." They are more athletic and sleek in appearance, with lighter bones, longer muzzles, and a less pronounced undershot bite. 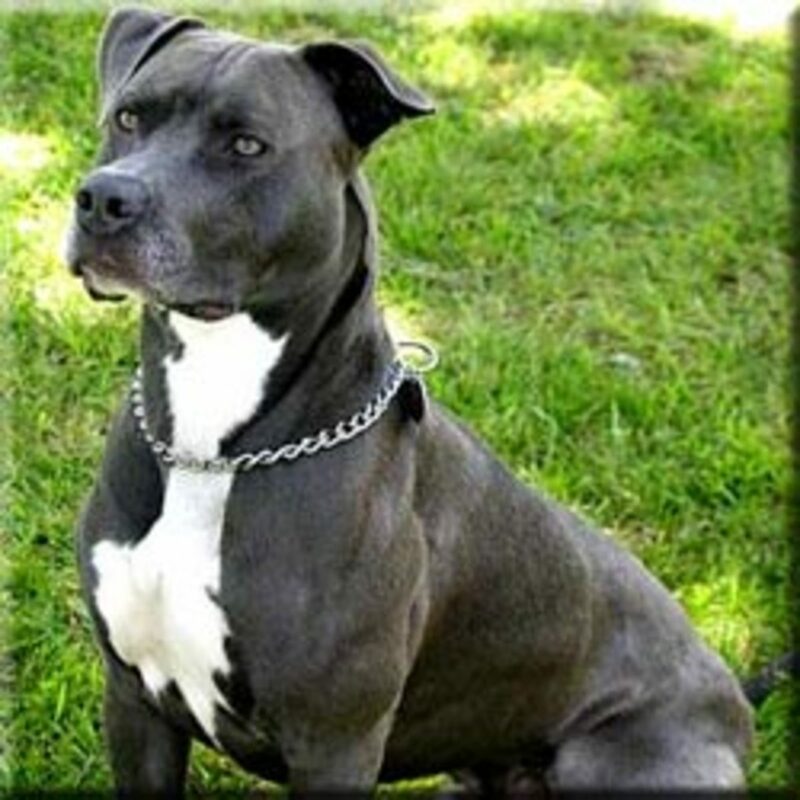 Johnson-type dogs, referred to as "bully dogs," are more bulky with more muscle mass, shorter muzzles, more pronounced undershot bites, and heavier bones. Today, the American bulldog continues to be used as an all-purpose working dog. The breed guards, helps on the farm, hunts (as hog and cattle catching dogs), and provides companionship. When evaluated, this breed should be looked at as a working dog. Exaggerations that interfere with this breed's ability to work should be severely penalized. Temperament-wise, this breed is gentle, loving, and fearless. The breed may be standoffish with strangers, but as it reaches maturity at 18 months, its confidence levels should rise. Viciousness or extreme shyness is not tolerated. The modern American Bulldog can trace its roots to remnants of the original Bulldog that managed to survive as farmers' catch-dogs in isolated pockets of the Southeastern United States. When bull baiting was outlawed, the bulldog was on the brink of extinction. The athletic bulldog was disappearing and being replaced by specimens that were selectively bred based on appearance more than working function. This led to specimens (today's English bulldogs) that were lacking the strength, health, and lifespan of the working bulldog. However, in 1971 a breeding project was in effect in an attempt to recreate the healthy working bulldog from the early nineteenth century England. The project was inspired by the cattle line breeding scheme used by Dr. Fechimer from Ohio State University. David Leavitt, of Coatesville (PA), was the breeder implementing such breeding methodology. He mixed English bulldogs, American bulldogs, American pit bull terriers, and bullmastiffs. 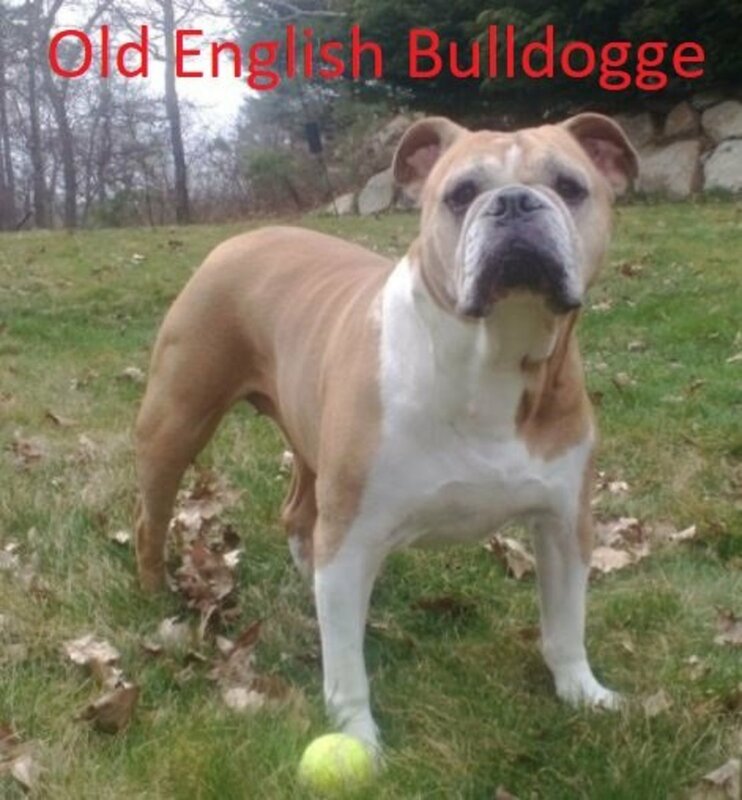 After many crossings, some specimens obtained bred true and were called Olde English bulldogges as to differentiate them from the modern English Bulldog. 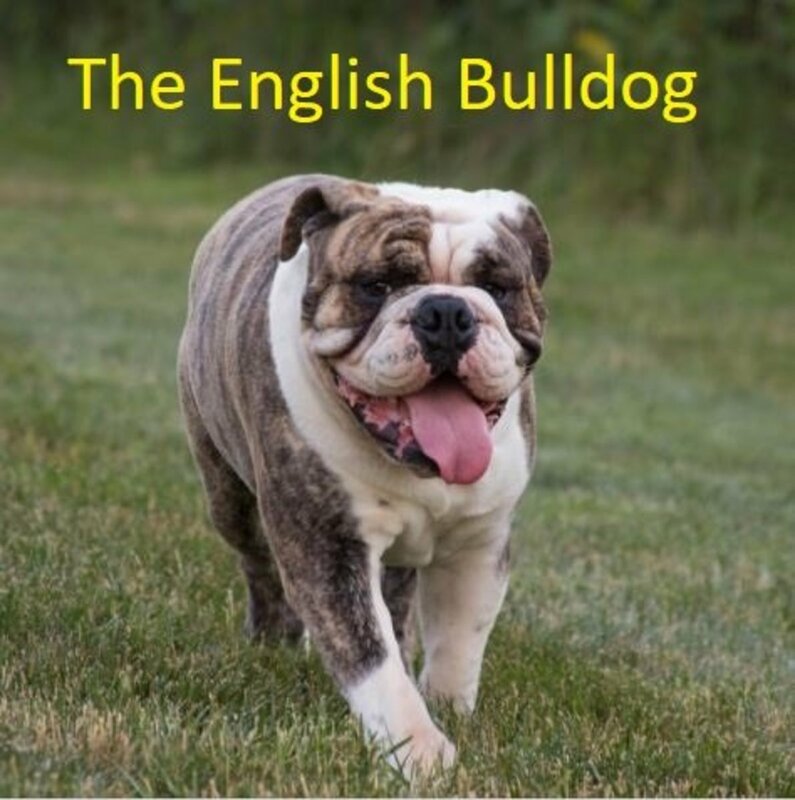 Olde English bulldogges were selectively bred to eliminate the breathing and breeding problems of the English bulldog and to resemble the looks of the old original bull baiting dogs reminiscent of the past.This breed was recently recognized by the United Kennel Club in 2014. What does an Olde English bulldogge look like? He is a muscular, powerful medium-sized dog, blessed with agility. He is confident, animated, and friendly. Excessive wrinkles are a serious fault. The nose is black with wide nostrils. The ears should be preferably rose-shaped, but button ears or tulip ears are accepted. The body is powerful and sturdy, characterized by a wide, deep chest, and a slight roach over the loin. The coat is short, shiny, and medium in density. Many coat colors are accepted. Most specimens weigh between 60 to 80 pounds. These dogs are happy and eager to please and may have a watchful disposition that makes them good watch dogs. 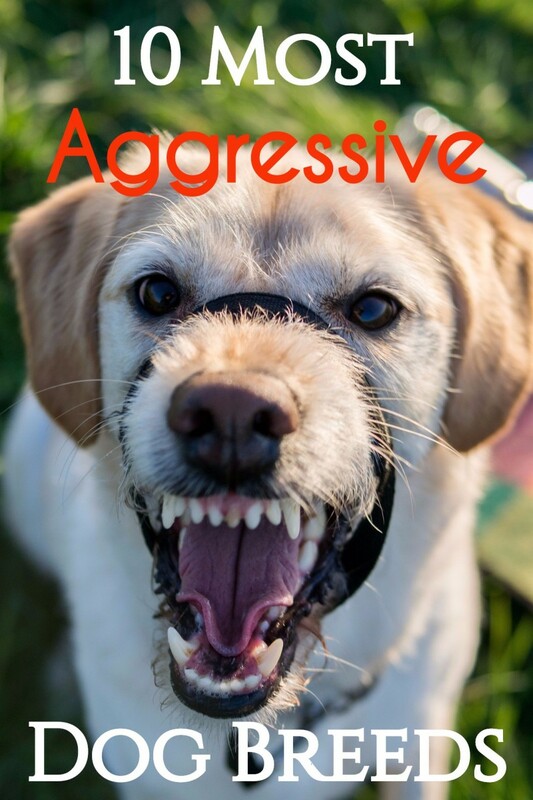 Any aggression without provocation is considered a disqualifying fault. What health concerns do French Bulldogs have? Because of their brachycephalic features, you can expect breathing difficulties, stenotic nares, tracheal stenosis, heat and exercise intolerance. They are also prone to skin and ear problems, spinal issues, not to mention, eye diseases, heart disease, and joint diseases. 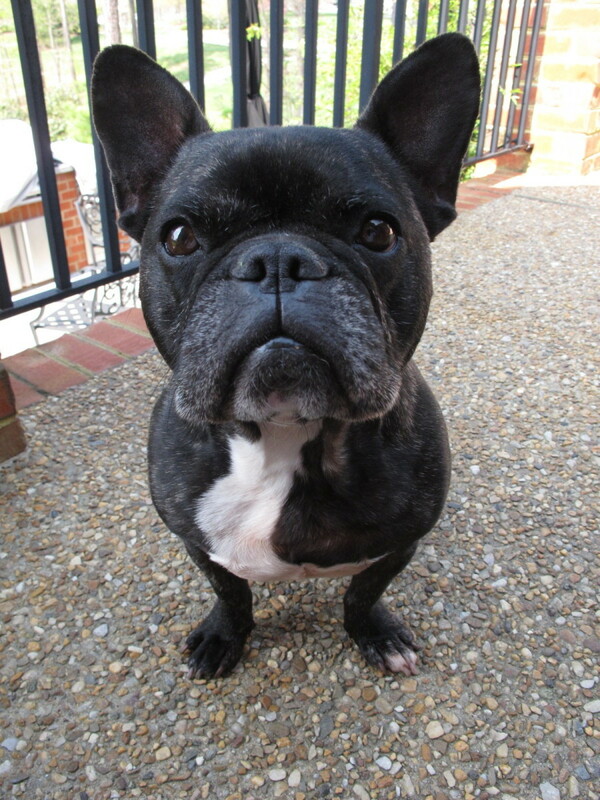 French bulldogs stand out mostly because of their bat ears, those ears give them an alert and inquisitive look. Glad to hear you found this article on the different types of bulldogs interesting! 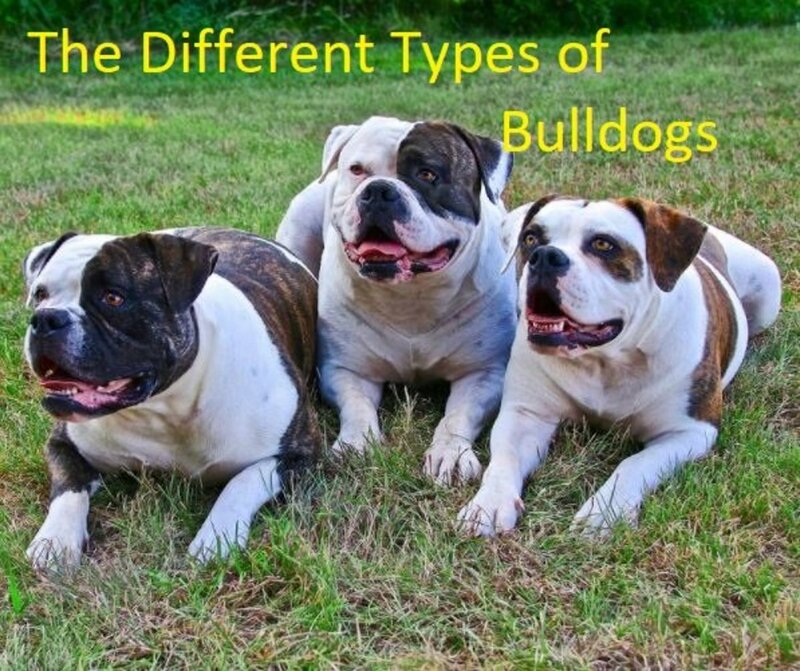 This Guide of Different Types of Bulldogs is very uniqe, specific and indepth. And excellent utilization of images. When my parents moved from Wisconsin to McAllen, Texas back in 1960 our next door neighbors had a couple of bulldogs. Looking at the photos I would guess that they were French bulldogs. Interesting article.